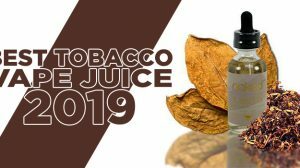 If Atom Vapes hasn’t been on your radar, things are about to change quickly due to their new release of the Metropolis Tank. The Metropolis Tank immediately gained my attention, because it not only looks fantastic, but it also uses the Kanger coil system, meaning the square coils (that I’ve raved about) are full game. 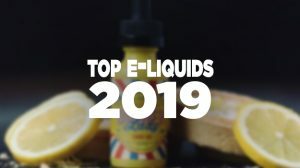 This tank has been phenomenal to use, so I decided this review should be more than what I typically offer. 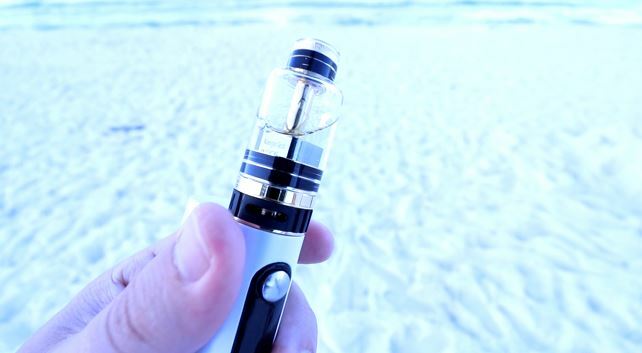 With that said, I reviewed the Metropolis Tank right on the beach of Destin, Florida. The Metropolis Tank by Atom Vapes looks absolutely stunning. The design is flawless, the addition of the 24ct Gold, and the bell cap surround just gives this tank that high-end appeal you’ve dreamed of. 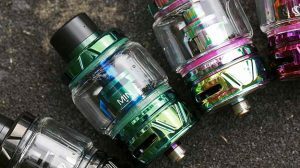 Starting from the top, you have a wide bore drip tip, which is surrounded by the one-piece Pyrex glass bell cap. 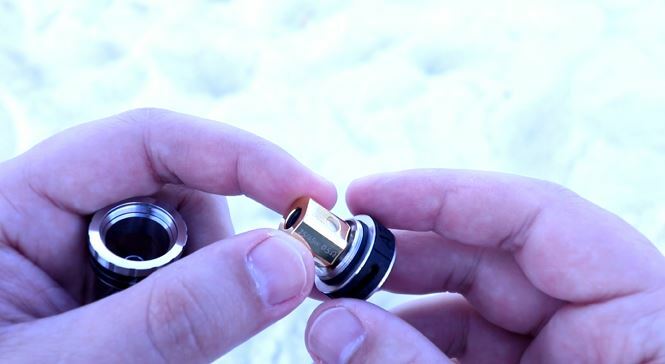 To make sure there is no leaking involved between the gold drip tip and the glass surround, 3 o-rings make the perfect seal and serves as eye candy. Towering from the top, the glass bell cap runs all the way down to the bottom base, giving a clear visual of the gold air shaft and 24ct gold-plated gClapton coil. To seal the glass to the bottom of the base, there’s 2 black o-rings that again adds to the Metropolis’ appeal. Just below that is a gold ring where the top separates from the bottom, then the bottom base which has dual airflow slots on each side, which can be adjusted by a black rubber adjustment ring. 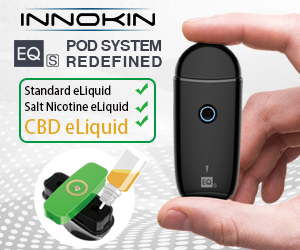 When it comes to the features, I’m just as impressed… well, namely due to the Metropolis being based around the SubTank and TopTank Mini. As many of you GTV viewers know, I’m a huge fan of those tanks and have raved about them since they were created. With that being said, I’m obviously going to receive the same type of features and performance. Anyhow, the most prominent features to this tank is the Pyrex glass bell cap, which not only looks great, but also holds 4mL’s of e-liquid. Another is the wide bore drip tip, which is a combination of the top of the air shaft and the top of the glass tank. 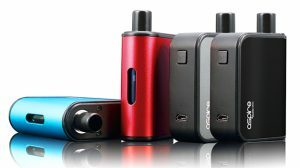 The airflow however, it feels and allows for just as much air as the SubTank and TopTank Mini. 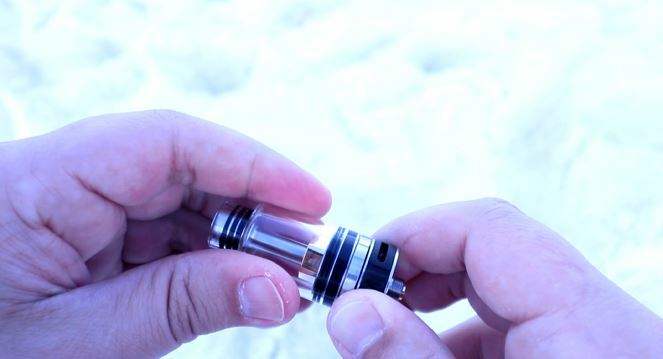 However, Atom Vapes decided to use a rubber adjustment ring for adjusting the airflow. This rubber ring is the only negative thing I can say about this tank, because that ring will move too easy. I often find myself taking a pull from the tank only to get restricted airflow. And, I have to adjust it all the way open nearly every time I use it. 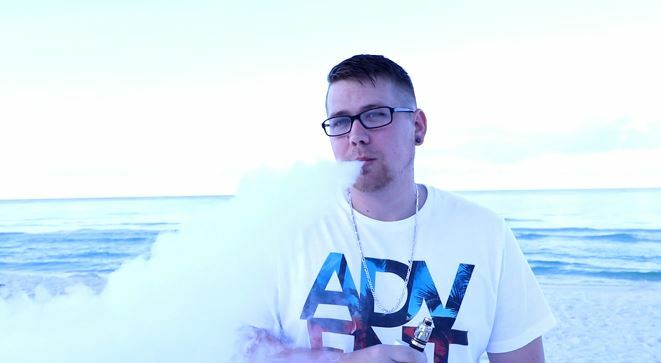 Continuing, the Metropolis Sub-Ohm Tank comes with an included gClapton coil, and you can of course take advantage of Atom Vapes’ gCeramic coils as well, but I prefer ol’ faithful, the square 0.5Ω OCC coils from Kanger. The performance is perfect, and that’s the very reason why I’ve been in love with Kanger tanks. This tank is based on those, and I couldn’t be any happier. It’s like getting a SubTank Mini, but with a better appearance. With the gClapton coil that’s included with the Metro Tank, throwing out monster clouds comes very easy, and the flavor is outstanding. However, I’d rather use those square OCC coils due to the ramp up time from Atom Vapes’ slow ramp up time with both their gClapton coil and their gCeramic coil.